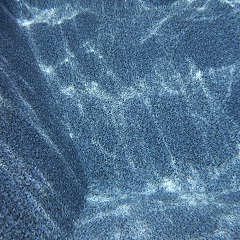 Enjoy the luxury and relaxation of your swimming pool, enhanced by one of Garrett’s beautiful, superior-quality liners. Unsurpassed Quality, Perfect Fit, & Maximum Durability. 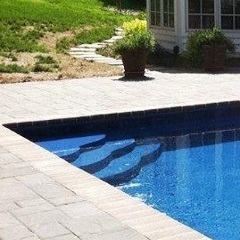 The Best Fitting and Most Durable Pool Liners from the Longest Established Manufacturer in the Industry. Every pool is unique – in shape, in size, in design, in style. It’s important to understand and account for each of these aspects when producing your liner or safety cover. That’s why every Garrett product is custom-made to ensure the best fit and look. 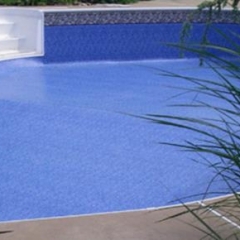 As the longest-established liner manufacturer in the industry, Garrett Liners is proud to manufacture the best-fitting and most durable swimming pool liners and safety covers for our customers. Our products are ideal for both new construction and replacement installations. Proven experience and quality make a difference. Garrett Liners and Covers is a family-owned and managed manufacturer of custom vinyl liners and safety covers. 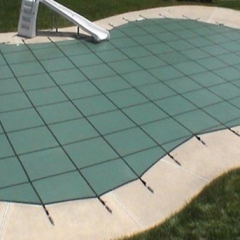 Since 1964, we’ve been perfecting our design and production processes to produce the world’s most accurately-fitting and reliable pool liners and safety covers. More than 50 years of premier-quality products and service! We only use materials manufactured in the U.S. and Canada. ” We used the same liner/cover company since 2002 and switched over to Garrett in 2014. We did not want to give our business to a large company and basically get lost in the hustle. 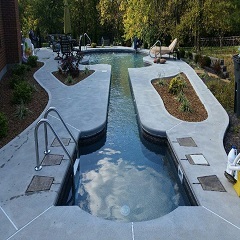 Garrett gives the attention to detail that is needed when building “not so common pools”. We have given them some complex situations and whether it’s a liner or a cover the fit always impresses us as well as our customers. Along with outstanding customer service we are proud to have Garrett build all the liners and winter covers for our pools” . ” Our company has been using Garrett Liners for the past year and I must say that the product as well as the service of the staff is remarkable. Our orders are ready for pickup when we are called and there is usually wait time”. “Doing business with Garrett Liners makes my job so much easier. Their customer support team is very helpful and personable, I can always talk to a designer if I have questions, and if I have any problems or issues (which are few and far between) they resolve them quickly and efficiently. ” I’ve been dealing with Garrett Liners for all my safety cover and liner needs for years now. I have to say that each and every employee is very knowledgeable with the product and expediting requests with outstanding service. We have been installing Garrett Liners for over 25 years. During that time, they have provided excellent customer service with great warranty support. What we appreciate the most about the actual liners is the nice fit, ease of installation, large selection of patterns, and quick turnaround time. As a ‘vinyl guy,’ I strive to provide the best quality, fit, and value as well as excellent customer service. I am glad there is a company who does the same for me. Every person I have dealt with at Garrett Liners is courteous, knowledgeable, and provides excellent customer service. Garrett has shown me their expertise and experience first-hand. I have my vinyl liner company now and for the future! 2015 was a year that saw a lot of changes in the pool industry, with mergers, consolidations, and plant closings. This prompted me to try seven different liner manufacturers. Garrett Liners proved to be the best in fit, quality, customer service, and on-time delivery. For my company, Garrett Liners will be my top choice when purchasing new vinyl liners in 2016. Thank you very much for all you did to make sure all went well for me on this first order with Garrett. The install went great! No problem or issues. Cover looks great. Customer is very happy. All of their products fit exactly as they should and the materials are top notch! It’s nice to deal with a company that stands behind their product! They have a customer in me for life!